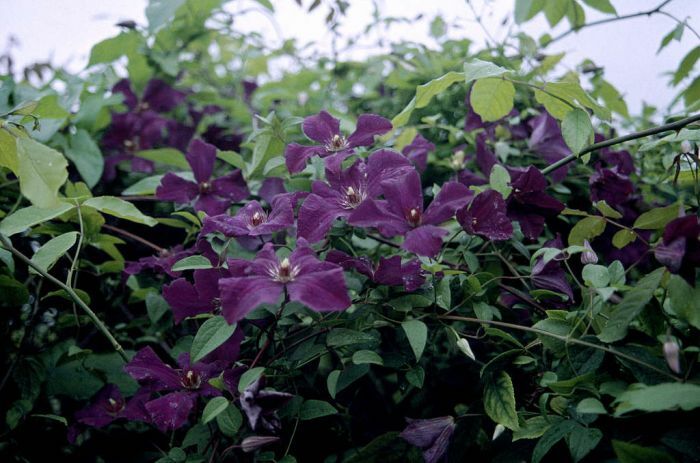 Details 'Polish Spirit' is a medium-sized deciduous climber with pinnate leaves. Single open flowers to 9cm in width have four or five deep violet sepals with a lighter bar along the mid rib with greenish-white and purplish stamens. Flowers from mid-summer to late autumn.